The Ponca City Board of Commissioners voted not to amend the city’s zoning code Monday night. A change was sought to allow a medical marijuana dispensary on Hartford Avenue by special use permit in the C-1 local commercial district. The board voted to leave zoning the same as when it was established in June, before Oklahomans approved State Question 788, which legalizes medical marijuana. 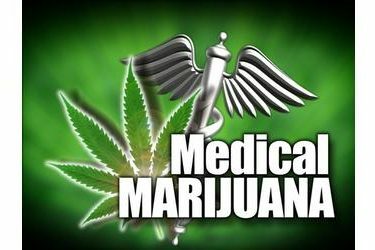 Before the state question was passed, Ponca City’s Planning Commission and the City Commission took action to set up zoning districts in Ponca City where medical marijuana dispensaries could be located. The land use tables outlined that dispensaries could be placed in areas that were 1,000 feet or more from schools, in areas with C-2 commercial zoning. The issue came before the City Commission again after Candace Villarruel, a business owner, requested a change to the zoning of a building on Hartford Avenue to be used as a dispensary. The property at 1113 East Hartford is in the C-1 commercial district. John Summers, 1605 Yale, a representative of Hartford Avenue Church of Christ, its members, and residents of the surrounding neighborhood, stated their position is against medical marijuana dispensaries being placed in C-1 zoning and more particularly less than 20 feet from the church building. Members of the church and neighborhood residents have twice appeared at the City Commission to protest the plans. After much discussion, Development Services Director Chris Henderson said there are 478 individual properties in Ponca City that could be used as locations for medical marijuana dispensaries under the current zoning designations. Commissioner Paul Taylor asked how the current disagreement arose. The zoning rules were set up in June, before voters approved State Question 788 allowing medical marijuana. However, Candace Villarruel did not seek a permit to use the location as a dispensary until well after the zoning regulations were in place and 788 was approved. “There were no inspections or permits issued,” Henderson said. “Candace Villarruel failed to get a certificate of occupancy, and stated the intended use for the business was for a real estate and loan company. Henderson said there are many things that can be done to a property which do no require a permit, but remodeling does require a permit and inspections. He said he did not learn until October that Villarruel was remodeling with the intention of opening a dispensary. At the end of the discussion, commissioners voted against approving the zoning change by a vote of two yes to three against. Two other locations are in the process of being remodeled to open as medical marijuana dispensaries, Henderson said.